Did you know that 130 million Americans celebrate Valentine’s Day? That’s literally 40% of the population that celebrates with the ones they love on February 14th. That’s a whole lot of love in the air! Online retailer, Zulily, put together a Valentine’s Day survey and I’ve got some fun Valentine’s Day statistics to share with you today, so keep on reading! ?I’ve partnered with Zulily for this post, though all opinions are my own. While 40% of the population does celebrate this special day of love, a surprising 54% of Americans prefer to fly solo on Valentine’s Day. Here are some more statistics, according to a recent survey from online retailer Zulily. More women like Valentine’s Day than men. 28% of women think Valentine’s Day is a fun day to celebrate with someone you love, while only 19% of men feel the same way. Pets ran #2 in the hearts of Americans. 20% of people surveyed would prefer to hang with their pet, second only to flying solo on Valentine’s Day. Break up over wine? Yep. That’s what 30% of Gen Z-ers who are old enough to drink would do if they had to break up with their significant other on Valentine’s Day. Ouch! Who would “stick together”? 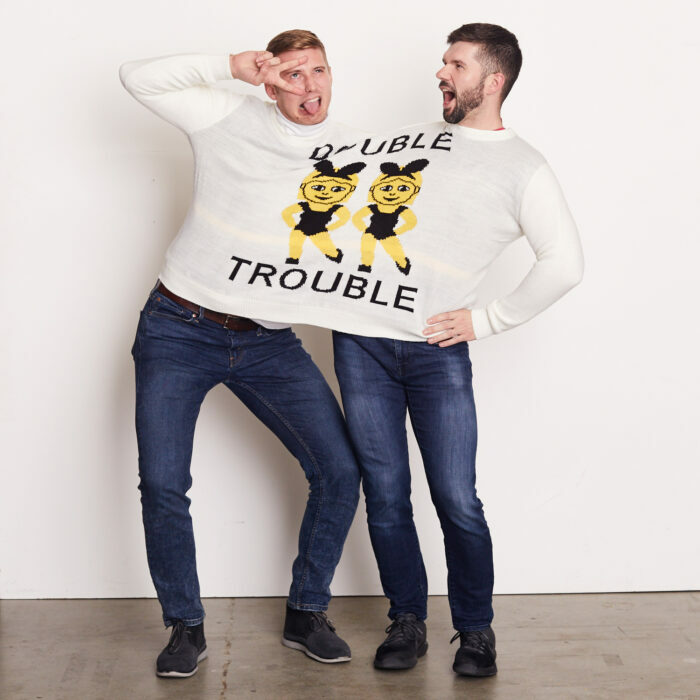 Zulily is carrying a two-person sweater just in time for Valentine’s Day and 20% of those surveyed would snuggle up with their S.O., while 5% would get cozy with their BFF. A whopping 21% would wear it with their pet. See, pets really do get all the love! Millenials are loners. Well, when it comes to Valentine’s Day that is. Over half (51%) prefer to be by themselves on Valentine’s Day. When it comes to wearing the two-person sweater out, 23% of male respondents and 19% of female respondents said that they would wear it out with their pet. 15% of men and 17% of women would wear it just to post a photo on social media. So what do you say – who would you cuddle up in a?two-person sweater?with this Valentine’s Day? How would you pose for a social media photo?